Bob Woodward's book about the Trump White House, "Fear," has debuted at No. 1 on the coveted New York Times best sellers list. The rankings came out on Wednesday. "Fear" is No. 1 on both the hardcover nonfiction list and the combined print and e-book list. The real question is how long it will stay on top. The book's publisher, Simon & Schuster, expects "Fear" to have some staying power because it is one of the top selling books in the company's history. The publisher has been working overtime to keep up with demand. Some customers have complained about having to wait weeks for a copy of the hardcover edition. But the backlog has dissipated in recent days. On Wednesday, Amazon told users that hardcover copies would be available again on Sunday. The strong sales are a testament to overwhelming interest in -- and fears about -- the Trump presidency. 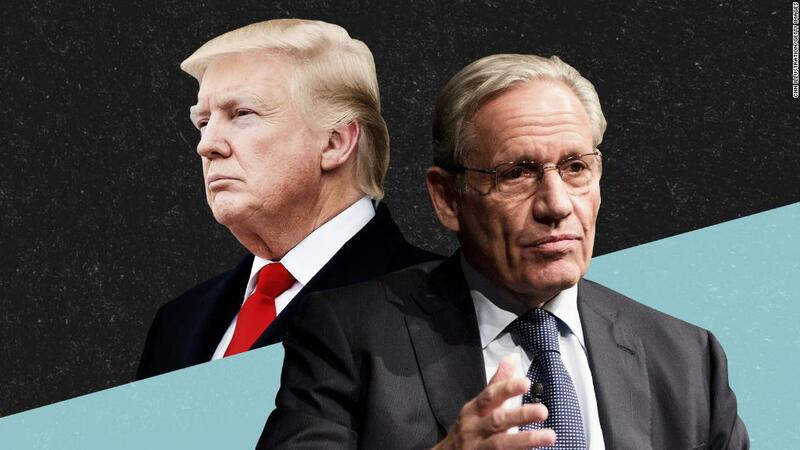 Woodward's book has chapter after chapter of disturbing detail about what he calls a "nervous breakdown" of the executive branch. Trump helped the book gain even more attention by trashing Woodward and by urging key characters in the book to issue denials. "Fear" went on sale on September 11. Simon & Schuster said that 900,000 copies were sold -- in all formats, from print to audiobooks -- on day one. At the one-week mark, on Tuesday, Simon & Schuster said that it had sold more than 1.1 million copies so far, including "orders from consumers that are as yet unfulfilled due to extraordinary demand." The book is now on its tenth printing. Eventually there will be more than 1.2 million hardcover copies in print, once the printing presses can keep up with demand. "These first week sales for 'Fear' were the largest for any title in Simon & Schuster company history," the company said in a press release. According to Amazon's sales charts, "Fear" has outperformed every other nonfiction title this year save for Michael Wolff's "Fire and Fury." But "Fear" still has a long way to go to match "Fire." Wolff's book has sold more than 2 million copies in the US since January.